Leadership in Albion Online is a world which is wide, wild, wily, and wise. Often the interactions and perspectives of leaders and diplomats happen outside of the view of the common line member and gatherer. This interview is an attempt to bring some of that hidden perspective to light. As part of my interview process with the significant leadership, diplomats, and shot callers of Albion online, I used a standard set of questions for each person that is being interviewed. These views and expressed opinions are their own and, except where the interviewee is the alliance leader, are not reflective of the views or official position of their organization at large. The following interviewee is none other than Iceking. *Editors Disclaimer* The person being interviewed does not speak English as their first language so please do not be too critical as we only modified the spelling and basic grammar and did not edit beyond that. VOLTEL: For those who are unfamiliar with you, who are you and what do you do? ICEKING: My in game name is WGIceKing and I used to be Gentlemen diplo and shotcaller in both KFC and Gentlemen. Currently due to lack of enough free time to take care of a guild I’m a Blue Army member. VOLTEL: What can you tell me about yourself and what was your role in your previous guilds? ICEKING: Back in Gentlemen I was responsible for guild politics, such as talking to other guild leaders about alliances or solving problems between players. Short time after WOKE disband Gentlemen was frozen, and is inactive until now. After joining KFC I became its shotcaller. Due to not enough players and content for 25 men ZvZ squad in open world and lack of free time I became a member of Blue Army. VOLTEL: How’d you get your start in Albion? Did you start with planning to help run a guild? ICEKING: I started this game on the official release after many years of playing competitive PC games, basically, Albion was the first sandbox that caught my attention. Since I am a competitive player, firstly I did not really care about diplo or becoming an official of a guild. My goal was to become a GvG player, that can face the best teams possible. When I stopped playing 5v5 I began to take care about guild diplo and shotcalling. VOLTEL: What, for you, was the hardest part of growing (into) your guild and polish community? What did you struggle most with? ICEKING: First and foremost, to speak about polish people in Albion, I should clear a few things. Back in betas, there was one polish guild, but as a result of difference of views its leaders split and created two guilds (Gentlemen and ScoiaTael). Since then, polish community have always been split, and unfortunately still can not create anything together. The topic of creating great polish alliance has been appearing and disappearing on polish forum many times, but it never turned out to be created, due to “the split”. Right now, we can highlight four polish guilds, that lately tried to forge an alliance (KFC, Bursztynowy Kartel, ScoiaTael and Corona Regni Poloniae), but only two of them actually decided to be a part of it [PAX] – (Bursztynowy Kartel and Corona Regni Poloniae). To sum this answer up, the biggest issue that polish community is struggling with is the negative attitude towards other polish guilds. VOLTEL: How did you broach diplomacy when you became an official and shotcaller in a guild; what were the early pains? ICEKING: If your goal is not GvG anymore, you are trying to find yourself something to do – content, that is when I became leading polish zergs back in Gentlemen. At first it was looking terrible due to both, my and my zerg inexperience, but our effectiveness kept on growing in proportion to the time we spent on fighting. Since there is population decline in Albion our zerg was getting smaller and smaller, and we could not pick up a fight against everyone as a solo guild (KFC) in open world like we used to, so we have mastered fighting against 20-35 enemies, and I could honestly place KFC as one of the best small/medium scale ZvZ guilds in the fields of Albion. Unfortunately as a result of MEGA alliances there is less and less content for small/medium scale ZvZ guild such as KFC, so lately we often grouped up as 25 people and were coming back to carleon after searching for someone to fight us for 2 hours straight. As a result of that KFC players are looking for other content, which is 5v5, who knows, maybe it is going to be polish GvG period again (?). VOLTEL: From the high-level, what’s the unspoken or unsung role of diplos and leaders that most people don’t get to see? ICEKING: I assume it is gathering all the people as a guild, and the most important, providing content for your players, content less guild does not have any foundations, it does not matter if it is 5v5, ZvZ, gathering or roleplay, your guild needs content to maintain its structure and number of online players. VOLTEL: Do you ever feel leaders are sometimes in the position of creating more problems than they solve? ICEKING: Yes, and it is extremely visible in polish community, due to their personal prejudices and conflicts, they prevent polish guilds to merge or fuse, and as a result of that polish guilds are no longer able to fight big zergs on their own, and as I mentioned, unfortunately there is less and less content for small/medium ZvZ guilds in Albion. VOLTEL: Let’s talk regional – A lot of recent attention has been paid to Mercia and their residents. What are your thoughts on the region and the diplomatic and political situation? ICEKING: As long as there is no longer any great polish GvG team region does not matter. Polish guilds, with better or worse shotcallers are looking for open world content, which they can find on every region of Albion, even royal continent, on which I have seen one of the best small/medium scale ZvZ so far, unfortunately it is much harder to find any opponent now, than it used to be. VOLTEL: Does the situation in Mercia differ greatly from Cumbria and Anglia? ICEKING: When it comes to GvG I would say, that it is different due to the energy bonus on Mercia, so the strongest GvG guilds are trying to focus their forces there, but whilst talking about ZvZ, then it is all the same, it just depends on your luck and the day, you may find opponent on all of the regions, it differs only when it comes to the big scale fights, Mercia is the best for 60+ zergs because of warcamps and mages controlled by MEGA alliances. VOLTEL: By your assessment, are their problems that leaders and Diplomats are incapable of solving? ICEKING: If those problems appear inside the guild or an alliance then everyone is capable of solving them. When it comes to polish community, the biggest problem that is nearly not able to be solved is the omnipresent split. I hope it will change sooner or later, because polish guilds would regain their strength and would finally move towards the same gateway. VOLTEL: Do you feel that building alliances and coalitions in Albion through diplomacy is largely misunderstood? 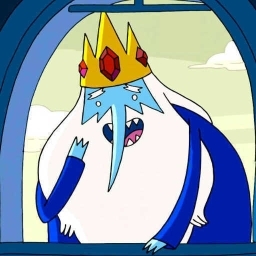 ICEKING: Well, right now many people talk and think about the great polish alliance, but that’s where it ends, everyone is only able to talk about it. As I mentioned, I would love to see the strongest polish guilds merge in one alliance, to create powerful ZvZ group, also I believe it would make many retired players come back to the game, and would provide “tons” of content like FF20 (Gentlemen + KFC) or VALUE (KFC + The Reborn) did. Currently all eyes are directed towards PAX and we will see what will result from this merge. 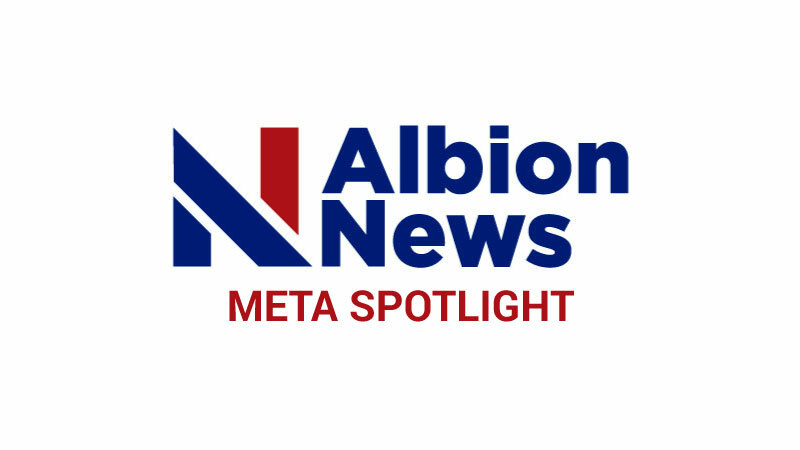 Anyone is welcome to submit articles or to contact us to be interviewed as this website’s mission is to spotlight the entire community not any one side and to publish content about Albion no matter where it comes from!